Maria Valtorta is considered to be one of the most edifying visionaries of our time, in that she recorded the most comprehensive and detailed Private Revelation of the Gospels ever; "The Gospel as it Was Revealed to Me" in Italy, and later published in English as the "Poem of the Man-God" after her death. She was born in Caserta, Italy in 1897, passed away in Viareggio in 1961 and is buried near the altar of The Basilica of the Annunciation in Florence. Her dictations and visions took place during the times of WWII and give a wonderfully detailed account of the lives of Jesus and Mary. Maria Valtorta’s visions are the only Private Revelations to attain a Papal Order to Publish. Her writings were presented to Pope Pius XII in 1947, who examined them for ten months. His Holiness agreed to a special meeting in 1948, in which He ordered the publishing before three Priests: Fr. Corrado Berti (Professor of Dogmatic and Sacramental Theology at the Pontifical "Marianum" Theological Faculty of Rome from 1939 onward, later becoming Secretary of the Faculty from 1950 to 1959, as well as consultant to the Fathers of the Second Vatican Council), Fr. 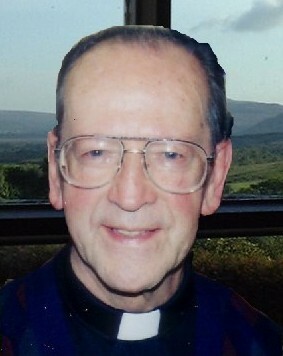 Romualdo M. Migliorini (Prefect Apostle in Africa), and Fr. Andrew M. Cecchin (Prior of the International College of the Servites of Mary in Rome. These aforementioned Priests documented this event immediately afterwards with signed testimony. The fact that the Pope did grant this audience was historically documented the next day, February 27, 1948 in L’Osservatore Romano. Since Maria Valtorta's writings encountered several obstacles when the Head of the Holy Office took offense at being circumnavigated in the Church approval process, Cardinal Edouard Gagnon (who served as Peritus during the second Vatican Council, that is the Expert Theologian Advisor and Consultant. He had a Doctorate in Theology and taught Canon law for ten years at the Grand Seminary), writing to the Maria Valtorta Research Center from the Vatican on October 31, 1987, referred to Pope Pius XII's action as: "The kind of official Imprimatur granted before witnesses by the Holy Father in 1948. An "Official Imprimatur" of the Supreme Authority of the Church". The Code of Canon Law - Book II, Part II, Section I, Chapter I, Article I - gives the Pope full and supreme power over all levels of the Church and free use to exercise this power. The Papal order came first. Canon law prohibits this Papal order from being reversed by subordinate levels of Church authority. Canon law clearly requires that this Papal order be embraced with unconditional acceptance and submission. Renowned Mariologist Father Gabriel Roschini, OSM was an outstanding advocate of Maria Valtorta's writings. Pope John Paul II often referred to Father Gabriel M. Roschini as one of the greatest Marioligists who ever lived. He was a decorated professor at the "Marianum" Pontifical Faculty of Theology in Rome, and an advisor to the Holy Office. He wrote over 130 Books on the Blessed Mother, all of which are in the Vatican Library. In his last book (which Father Gabriel said was his greatest, "The Virgin Mary In The Writings of Maria Valtorta"), the first two pages contain a letter of endorsement by Pope Paul VI. Page one displays a photocopy of the original letter in Italian complete with Vatican insignia, and page two contains the English translation. When Pope Paul VI was Archbishop of Milan, after evaluating Maria Valtorta's writings, He ordered her entire works to be sent to the Milan Seminary library. Blessed Gabriel Allegra, OFM was the only Scripture scholar beatified by Pope John Paul II, which took place on April 23, 2002. A St Jerome of our time, he was the first to translate the entire Bible into Chinese. He was also a prominent advocate and defender of Maria Valtorta's writings. Being that the Holy Pontiff was well aware of Father Gabriel Allegra's resolute dedication to publishing articles advocating the Poem, many argue that this beatification was an indirect Papal endorsement of Maria Valtorta's writings by Pope John Paul II. Father Padre Pio was also an advocate of Maria Valtorta’s writings. One year before Padre Pio’s death, a woman named Mrs. Elisa Lucchi asked him if he advised reading Maria Valtorta’s writings. He replied, "I don’t just advise you, I insist that you read them!". Fr. Leo, a personal chaplain of Mother Theresa of Calcutta for 3 years, noticed that she always carried 3 books with her, wherever she went. One was the Bible and the other was her breviary. He asked about the third, and it was by Maria Valtorta. He asked her what it was about, and she told him "Read it". He asked her again, and she responded with the same answer, "Read it". Maria Valtorta keeps perfect track of Jesus, Mary and over 500 additional personalities. None of which are in the wrong place at the wrong time. Jesus is appropriately in Jerusalem and Judea for Passover and Pentecost in all four spring seasons, and at the Tabernacles in all three fall seasons of His ministry. Jesus traverses the land of Palestine from one end to another in at least six cycles (some 4,000 miles), ministering in some 350 named locations, including places in Palestine known only to specialized archaeologists. The 10,000 pages of Divine Revelation were given by our Lord in completely random succession. Maria records the visions in simple bound school note books, with no corrections, in the random order as they were given. On the surface, the complete work appeared as a well shuffled deck of cards. Towards the end, Jesus provides the proper sequence, the key, which could not be realized until the mammoth task of typing the manuscript was completed, allowing the individual pages to be sequenced in the specified succession. When finally placed in the correct progression, the puzzle materializes into a seamless perfect flowing chronology. Geologist and Mineralogist Dr. Vittorio Tredici points out how Maria Valtorta described and correctly named several towns and villages that were not even discovered until after her death. David J. Webster posted a landmark 31 page article that fundamentally proves the authenticity of Maria Valtorta's writings. The "Poem of the Man-God" may be the very first Private Revelation ever to be scientifically proven genuine. David meticulously and methodically examines Maria Valtorta’s strikingly accurate descriptions of first Century Palestine for every piece of topographical evidence. He then compares this evidence with currently known facts that are only now being proven authentic. "Over thirty percent or 79 (all entries marked with * and **) of the 255 geographical sites in Palestine mentioned in the Poem were not listed in the 1939 International Standard Bible Encyclopedia (ISBE) Atlas. 62 (all**) of these 79 were not even listed in the 184 page Macmillan Bible Atlas (MBA) published in 1968. [Maria Valtorta died in 1961] Where did Maria Valtorta get all these names? For a first century eye-witness to include so many obscure and unknown names would, of course, be expected. And most surprising is that these names, obscure and unknown in the 1940’s, are only now being proven authentic. 52 of these 62 have no biblical reference whatever, and 17 of these with no biblical reference have been either indirectly confirmed as authentic by recent "ancient external sources" found in the Macmillan Bible Atlas (1968) or actually listed in the HarperCollins Atlas of the Bible (1989). This makes a total of 29 confirmations since the 1939 ISBE atlas listing. Also among those 62 sites are mentioned the ruins of 6 ancient Palestinian cities some corresponding to the modern consensus on location. In addition, Valtorta’s precise descriptions of the natural topography of Palestine from numerous locations and the information about the outside pagan world of that day, including people, places, customs, Greek and Roman mythology, related in the conversations of that day, are strikingly correct. Blessed Gabriel Allegra was the only Scripture Scholar Beatified by Pope John Paul II. His Eminence was well aware that Father Gabriel Allegra was most noted for being an outspoken supporter of Maria Valtorta’s writings. Quite possibly another indirect Papal endorsement of Pope John Paul II. Please take the time to read the links below to Blessed Gabriel Allegra's Critique of Maria Valtorta's works. These authoritative endorsements by a Beatified Scripture Scholar cannot be easily disregarded.